Tell us a little about your career to date including your current role as Creative Director of Boxer Books? After studying book design in the early 1970’s I set out as a designer in a small magazine in the heart of Soho. Crazy times and lots of fun and I was able to try my hand at everything from layout and paste-up to typography and photography. Then in 1977 I bagged my first job at a major publishing house, Collins (now Harper Collins) as their publicity designer for paperbacks. Budgets were huge and I was lucky enough to work closely with many of the authors, artists, art directors and editors. Next up was as Senior Designer for Usborne Publishing’s Nature division for a couple of years before being hired as the Assistant Art Director at Walker Books, then a start-up business. This was an extraordinary place to be involved in where energy seemed limitless and working with Sebastien Walker and Amelia Edwards (The Art Director) was a learning curve I could do again and again. As Walker grew, so did my role and I had the opportunity to commission children’s books, most notable being Where’s Wally, an idea that sprang to me from seeing Martin Handford’s work in a mens wear shop window advertising their sale. Then at the end of in 1986, I felt ready for older books and decided to set up as a freelancer designing book covers – something I always enjoyed. Rosemary Canter (now one of the world’s most respected literary agents for children) was the editor at Methuen who commissioned me for the launch of a new series of fiction for teenagers called Teens. Not a new idea now, but she pushed the envelope then – no one had done it before. This lead to hundreds of covers and a lot of new opportunities. By 1990 I felt ready to package some children’s books and started David Bennett Books. I knew a lot of authors and artists and I loved, (and still do) creating and developing ideas with a small team. As the business grew, I found myself travelling a great deal, my favourite place being the USA. I have always loved the enthusiasm in the USA for exciting new ideas and business. I found the business and administrative side of publishing was rapidly forcing out my creative time – so I sold David Bennett Books in 1997. Over the years I have been lucky to have parallel careers, one under the pseudonym Sam Williams as an author and illustrator. This occupied my time until around 2004, when illustrator friends and I put together some ideas and I was off to Bologna again, this time with a new company I had just set up, Boxer Books. The two big differences between Boxer Books and David Bennett Books is that I hired people to run the business so I could concentrate on being the Publisher and Creative Director and we set out as a publisher in the UK and US simultaneously. I am responsible for the creative growth of the company, not just the books. We began publishing in 2005 and by 2008 launched around 20 new titles a year on both sides of the Atlantic. Whether we are having a good day or a bad one, I NEVER lose sight of the fact that children’s publishing is an exciting business, albeit a tricky one at times. How does Boxer Books set itself apart from the competition? Boxer set out to create and publish children’s books that could sit well in the picture book market, but would also make ideal board books, thus giving us two bites of the cherry. Because we publish in both the UK and US, we can plan ahead with our creators and are not waiting in hope that publishers in the US will like our book enough to take it, as many packagers do and we did at David Bennett Books. Now, we can plan ahead, think through a strategy and make it happen. What three things should every illustrator know about Boxer Books? 1. We are a small, totally independent publishing company based in Farringdon, London and have huge respect for authors and illustrators, new and experienced. 2. Never send in unsolicited manuscripts. While we have had a great success with two of them to date, they can so easily get lost in the slush pile. If you value your work, then value the people you send it to. Choose carefully and choose appropriate publishers. Check out their web sites, look at their books in the bookshops and find out who the person is you need to send your work to. Only send jpegs at first, after introducing yourself and asking if you can send samples. Everyone gets a huge amount of emails daily and unknown recipients are easily lost or excluded automatically by the email system. 3. We value all authors and artists – without them, there isn’t a business. Your copyright will always remain yours and your art will always be returned. Boxer Books is the proud winner of the V&A book illustration award 2007. How important are these kind of industry accolades? Very important. Such ‘accolades’ show the integrity of our business, its authors and illustrators and it gets the book noticed, which leads to higher sales and broader reviews. Its very good publicity for all our books. Which industry networking events do you regularly attend and why? Our staff attend a variety of events relating to production, editorial and art at seminars, open evenings and special events such as graduate exhibitions. The largest events include the Bologna Children’s Book fair in Italy each Spring, BEA in the US late Spring and Frankfurt in the Autumn. These three annual events account for the majority of our international language sales. You’ve worked with many talented illustrators. What was it about their work that really made them stand out above the rest? Usually it is the drawing. I love good drawing. It is a skill that should be nurtured throughout one’s illustrative career just as a good opera singer perfects their voice. Observed drawing, from reality or the heart or better still both, performs like an actor pulling at all our emotions. What is your favourite children’s book of all-time and why? I have to choose two books actually. The first is a series, Rupert Bear (the annuals dating from the 1940’s to today) The original drawings by Mary Tourtell and Alfred Bestall create a world that draws you in and the pictures really do tell the story. Anyone that knows me , knows I am a fanatic. I can’t leave out Wind in the Willows by Kenneth Graham, illustrated by Ernest Shepard – a clichÃ© I know, but the writing is an icon of quality with images heartfelt and studied. 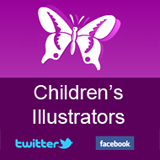 What advice would you give illustrators looking to break into children’s publishing? Be sure you really want to illustrate a children’s’ book. Look at your style and ask yourself what you are offering? Can you afford it? It does not pay well and high earning best sellers are rare. Research publishers. 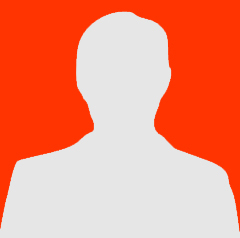 Get to know who the ideal publisher is for you and why. Research publishers worldwide and make contact with US and European publishers. It is so much easier today to work with international companies from your home. When you get work, do you need an agent? Can you handle the contract details? The payment stages? Remember that publishers are like any other business, they need to make money and so do you. Illustrating is a way to earn money in the long term if sales are good – make sure you understand your contract, the advance and the royalties – always seek advice. Last BUT not least – check the schedule. Can you do it on time? If not – SAY SO sooner than later – much more helpful to a publisher to be able to plan and in these times – it is crucial. Describe the rewards and challenges associated with working with a new illustrator. New illustrators are always interesting. I have commissioned many new illustrators in my career and continue to do so. The new partnership has to work for all parties – author, illustrator, editor and art director, they need to form a trusting relationship – it always shows in the work if it went well or not. The rewards are immense if you get it right. Enthusiastic new developments need care and time. Challenges usually spring from misunderstandings between the parties and sometimes an unwillingness of the book stores to take new books by untried authors and illustrators. If a new book with new talent works and translates to sales – then it creates a fantastic sense of success for all parties and the real challenge is usually the next book! How do you research whether a new book idea has the necessary commercial “legs”? At Boxer we put all new books through a series of internal and external discussions. If we like the book enough, then it is costed to see if the book is viable. If so, we begin work on a simple dummy to present to our sales teams in the UK and the US. Equally important is our sales person handling international language sales. Once we have their feedback, we take a view. Negative feedback doesn’t always mean we do don’t do it – publishing is a risk business after all, but we try our best to lessen the risks by looking carefully at the format, the cost and retail, the market competition and what time of year the book would be appropriate for and where. This entry was posted in Publishing on July 25, 2013 by Creative Interviews.